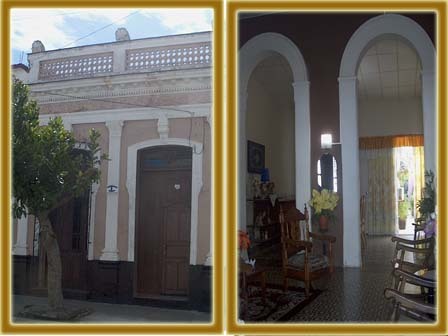 House built in 1940 located in the heart of the historical center of the city of Cienfuegos, declared by Unesco Cultural Heritage of Humanity. Just one block away from the Parque Martí, former Plaza de Armas of the Colonia Fernandina de Jagua, as it was called the city in its beginnings, exact place where the city was founded in 1819. The proximity to this Square and its surroundings: buildings of great beauty and universal interest, such as the Tomas Terry Theater, the Cathedral, the Ferrer Palace, the Founder’s House, the Benny More Arts Cultural Center and the Old Town Hall; make the place a center of comfortable rest and quick access to the beauties of the city. The house puts at your disposal an air-conditioned room, with independent bathroom, 1 double bed and a smaller one, hot water and many amenities. 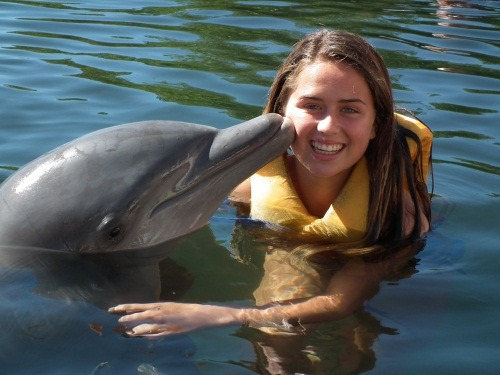 Offer guide services and chauffeur for excursions. Nearby places: Martí Park, "Tomás Terry" Theater, Terry Caffeteria, Cultural Center Benny Moré, Ferrer Palace, San Lorenzo School, Boullevard, Muelle Real, Shoping centers, Habano´s House, Provincial Museum, Cathedral Church, City hall bulding, Local Artisans offert, Palatino Bar, Prado. Address: 23 Street Nr. 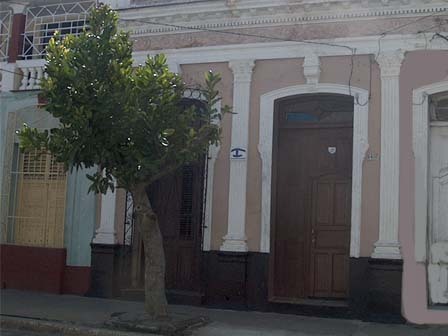 5410 between 54 and 56 Avenue, Historic Center of Cienfuegos City, Cuba. Price room / night: 25 CUC.